* Charles Graves was a real estate promotor. He was in and out of Columbia form 1884 on, at which time he and Mr. Boynton owned the Columbia Lumber yard. In 1893 he promoted the sale of lots in Columbia at the Columbian Exposition in Chicago. His home was in Janesville. In 1900 he bought Columbia’s first store from George Heynderickx and moved his family there. He named it the "Bee Hive." There was one son, Earl and a daughter, Bessie. The later become postmaster. Both young people were active in community affairs. Bessie Graves was postmaster in Columbia (circa 1900). Mrs. Graves was very spicy with a ready answer. The young people just loved to tease her and they all had fun. Several years later they sold the store to Dad Schlender and moved to Colorado. *George Heynderickx was owner of Columbia’s first store, and his story is included in the town news. *John Iverson came from Green County on June 9, 1893. They built a home in town where they lived until 1897 when they moved the house to their 160 acre farm four miles south of Columbia. The farm was known was " Mound View." Their ancestors were Norwegian. They had two children, Roy and Ruth. County board. For several years he was the County Coroner. He was president of the cheese factory stockholders company in Columbia. A large part of their farm was clear and had nice farm buildings. In 1917 the home was burned to the ground. A new one was built Mrs. Iverson was an excellent cook and one always had to have a coffee when stopping by. When young people had sleigh parties, she quickly baked some bakery and we had to partake. After the passing on of Mr. Iverson in June 1929, Mrs. Iverson stayed on the farm for fourteen years. She then moved to Pigeon Falls with her granddaughter, Thelma for seven years. She passed on in March 1950. Both were buried in the Columbia Cemetery. *Roy Iverson was with his father on the farm until he married Mayme Rouse of Columbia in 1917. They lived on the Leithold farm near his parents for a time and then bought acreage near the Columbia-Hatfield corners where they built a home. Roy was town chairman and also a game warden. They had two daughter, Beaulah and Virginia, and also raised a grand-daughter, Barbara. His wife Mayme passed on in 1956. Roy stayed on the farm until his passing in 1968. 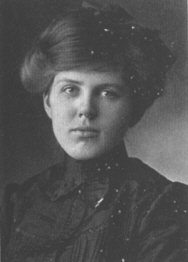 Ruth Iverson Gregory Christofferson, the daughter of John, was born in Columbia in 1897. After attending school in Columbia she married Will Gregory of Humbird. They had two children, Ruby and Thelma. He passed on in 1918 and Ruth and her children, Ruby and Thelma. He passed on in 1918 and Ruth and her children went to live with her parents. Several years later she married a Columbia boy, Ivar Christofferson, and they had one son, Leonard. *Edward Deal came to Columbia in 1894 from Kansas where he had been a banker. He had also studied to be an attorney. From Kansas he brought three carloads of cattle and horses for his section of land two miles southeast of Columbia. In 1893 the fire went through and his land was burned over. He hired men to clear the rubbish and turned his stock out to roam. Not many survived the winter. He was rather eccentric and bachelor. He came for mail twice a week with two beautiful matched dapple grey driving horses and surrey with the fringe on top. One week he missed and the next time he brought his bride who had come from Monroe, his home town. This was in 1898. They had two children, Franklin and Edward, Jr. Within a few years lightning struck bringing the tragedy of crippling the oldest child. A considerable amount of land was cleared when Mr. Deal passed away in 1922. The youngest boy, Edward, took over the farming and the mother stayed there until she passed on in 1941. Edward married a widow with one son from Lynn. They sold and moved to Oregon after Mrs. Deal had passed away. *Mr. And Mrs. William Meiers and three children came to Columbia in 1894, from Chicago. They lived in two different home in Columbia for several years and them moved to a farm in Dells Dam. One son returned to Chicago where he became a doctor. The second son became a German Lutheran minister in St. Louis, Missouri. The daughter Minna Louisa cared for her parents until their passing. She married William Murphy in 1910. They had one son, Edward. After Mr. Murphy passed on she sold the farm and moved to Neillsville. Later she passed on in the Nursing home in Fairchild. 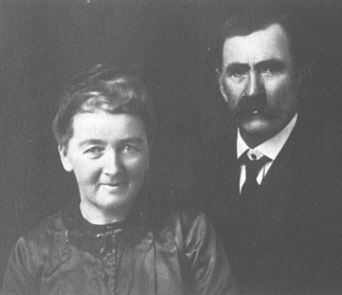 *Mr. And Mrs. John Putz, Sr., came to Columbia in 1893 from Chicago. Mrs. Putz came from Germany to Chicago in 1891 where they were married that year. Two miles north of Columbia they cleared land and built a stone house. Their four sons were Frank who was born in Germany, John, Tony and Otto. Otto passed on at the age of six. After the death of the parents, Frank carried on the farm work, building up a fine dairy farm. After he passed on, John, who had done carpenter work in various places of the U.S.A., lived there until his death. Tony had left home at the age of eighteen years and no one every heard from him again. *Frank Farning came to Columbia in 1892 to operate the new sawmill. He built a home between the mill and the railroad tracks. The Farnings had three children: William, Frank, Jr., and Janey. One evening, Janey then nineteen years of age, was getting ready to attend a dance. In going around the sewing machine, her clothes caught the spread on the machine where the kerosene lamp was setting, pulling it to the floor. Mrs. Farning was following her and got the full blaze of the fires starting. She was fatally burned to death. This was in 1900. Janey was badly burned, but survived. Frank, Jr., was burned in trying to save his mother. Soon after this the mill was sold to John Twamley of Iowa. William and Janey moved to Neillsville where they married. Frank, Sr., and Frank, Jr., moved to the state of Oregon. I don’t know how to correct this but there are errors in the story on the Lumber Mill which was operated by Frank Farning in Columbia County in 1892. My guess is Franklin Farning, son of Michael Farning and Anna Markey Farning, was the owner and operator in conjunction with his eldest brother William Mark Farning. The children mentioned, “William, Frank Jr. and Janey” are actually the children of William Mark Farning and Lucinda Dwyer. Their son Frank is not a junior but named for both uncles as William and Lucinda each had a brother named Frank. Franklin Farning did reside with his mother on the family farm until he married Anna Tobin after this 1892 date and operation of the lumber mill and they had two children who lived into adulthood, “James and Gertrude Farning.” I thought it important to correct the record. It took me years to figure out which Frank Farning was which! Jackie Wyer, Great Great Granddaughter of William Mark and Lucinda Dwyer Farning, Great Granddaughter of William Wallace and Lugarda Jacklin Farning, Granddaughter of Geraldine Farning and Merrill Gault, Daughter of Shirley Gault and John Wyer. *John Twamley had come from Iowa and operated the mill for several years. Until the logs played out. The mill was bough and moved to Greenwood. Then Mr. Twamley opened a blacksmith shop. In Deal building next door he had a hardware store. He was town treasurer for several years. When Mr. Twamley became ill, his son Irving became treasurer and also took over the business. He was also talented in playing several musical instruments. About 1911 they moved to Sechlerville. The stop was discontinued and Dad Schlender bought the hardware. In 1913 they returned to Columbia and stayed for several years and then moved to Virginia, Minnesota. The son married Daisy Gregory from Humbird. *Frank Grimes came to prior to 1895. Their home was built one mile east of Columbia along the telephone line road. Their daughter, Blanche, was the first to be buried in the Columbia Cemetery. This was 1895. After the mill closed they moved elsewhere. 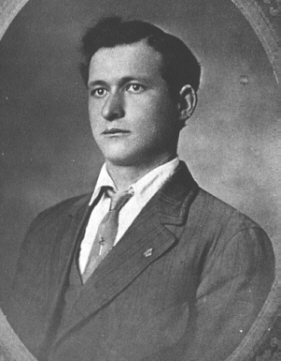 *Harry Grimes, though not a relative of Frank came to Columbia about 1895 from Illinois. He bought the Plaine farm two miles west of Columbia. After a few years of farming as a bachelor he returned to Illinois. Of the sixteen Swiss families who came to Columbia in the 1890’s five remained and built farms.